Among all the accessories you wear, your watch is the one that gets noticed the most. 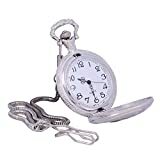 And believe it or not, most people might not remember what you look like but they would probably remember the watch you were wearing. 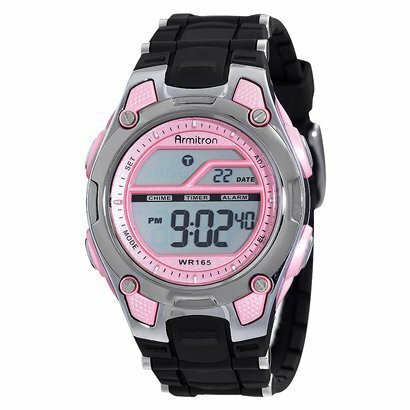 So, if you really want to catch someone’s attention then, you should wear trendy watches. In case, you aren’t quite sure about all the options out there then this post is tailor-made for you. 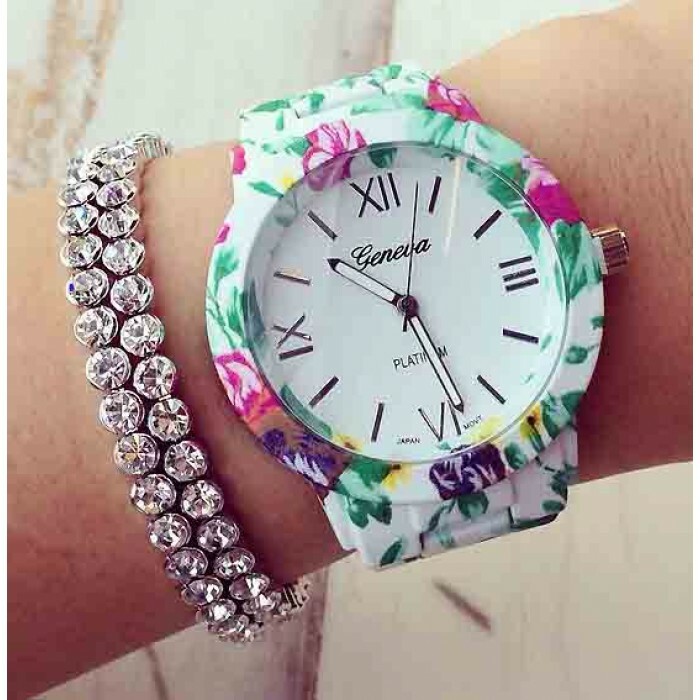 Here’s a list of top 20 fashionable ladies watch designs that every woman should know! 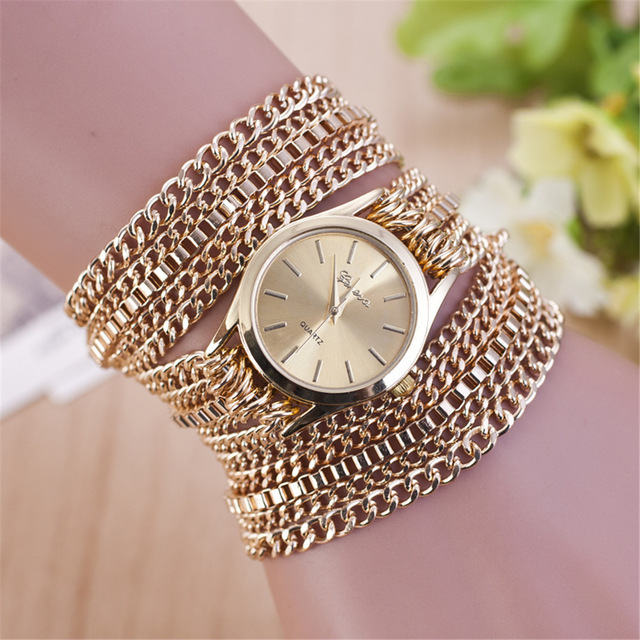 Wouldn’t you love to wear trendy watches that look like bangles? 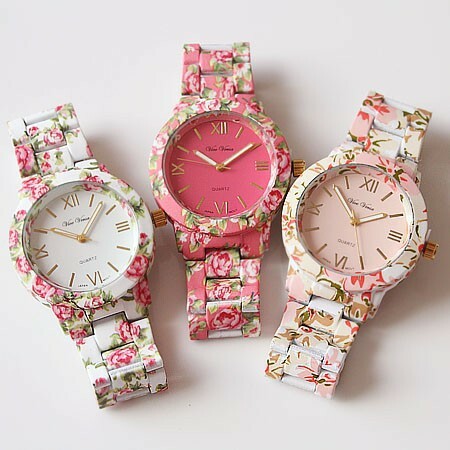 Well, the good news is that you can get your hands on watches like these. These are the perfect option for ethnic outfits or if you want to go in for the minimalist look. This is an elegant option that anyone can carry off well. Why should boys have all the fun! We live in a world where everyday people are breaking out of their moulds and breaking stereotypes. 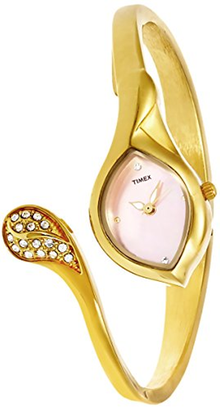 Now, women can choose from a variety of big dial watches that are made for women. You don’t have to settle for a brown or black strapped watch with a big dial, which is a favourite among men. 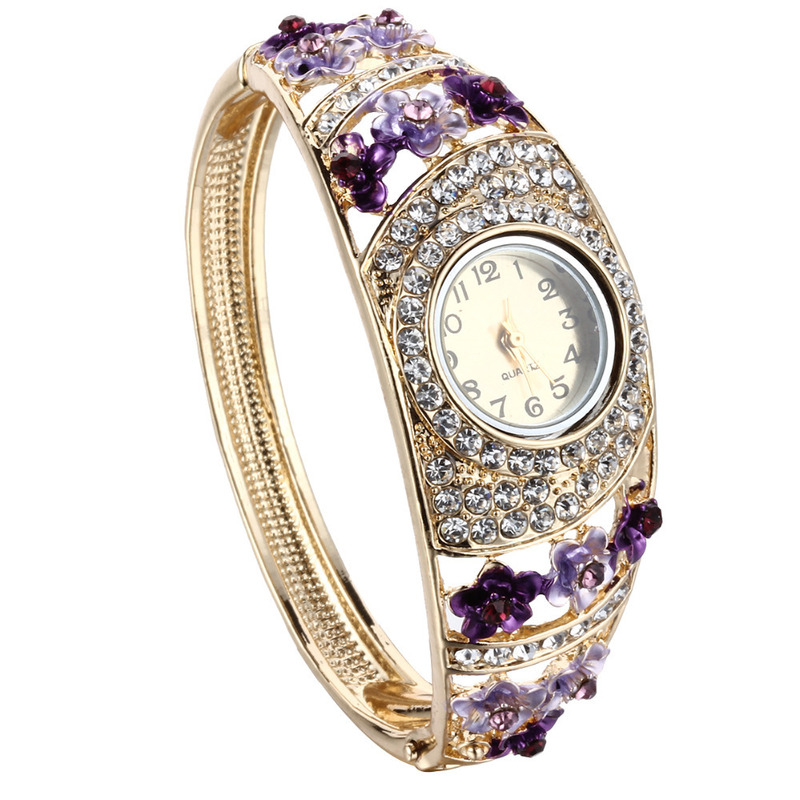 Instead, you can select from baby pink to deep purple adorned with gemstones. Women are always attracted to anything that is shiny and bling. 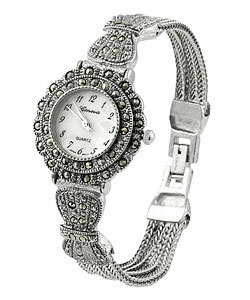 And for fashionistas who love to get their bling on there are innumerable watch designs they can choose from. Coloured gems to American diamonds, you will be able to find something that you will fall completely in love with that will make your diamonds jewellery very jealous. 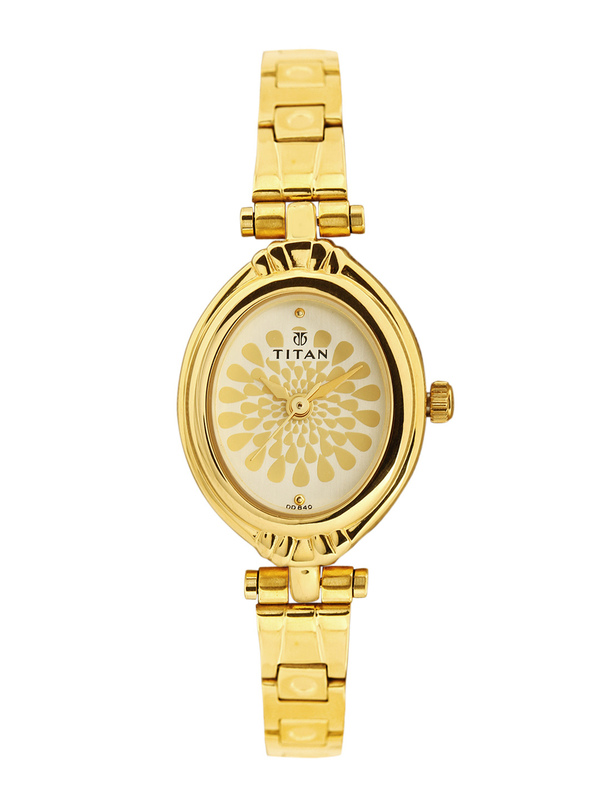 If it is elegance and sophistication that you are in search of, then the champagne dial watch will be perfect for you. The slender design, which is inspired from the shape of champagne glass, goes well with any outfit. 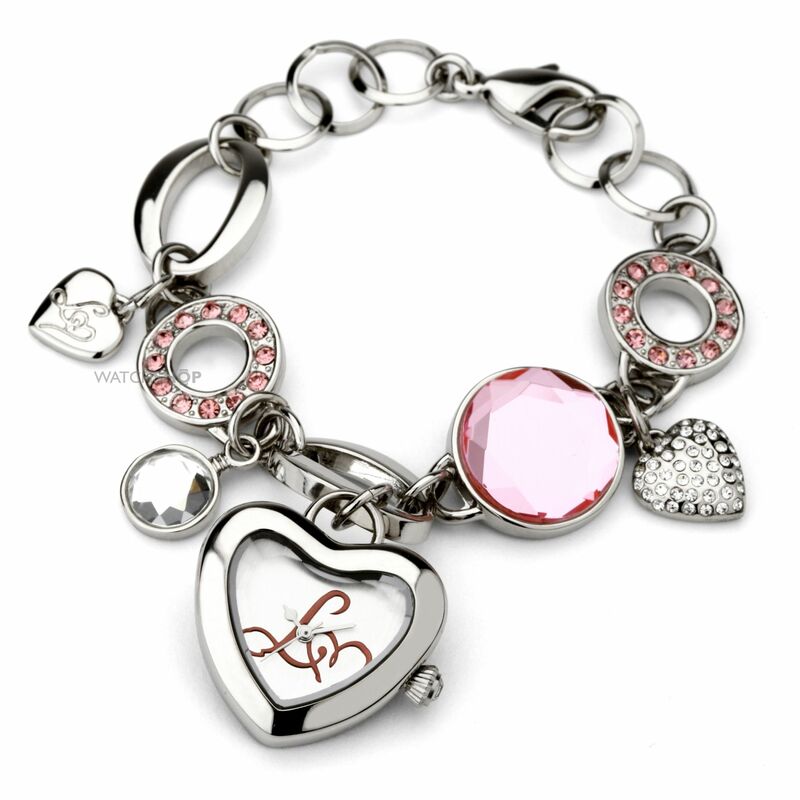 Do you love charm bracelets? 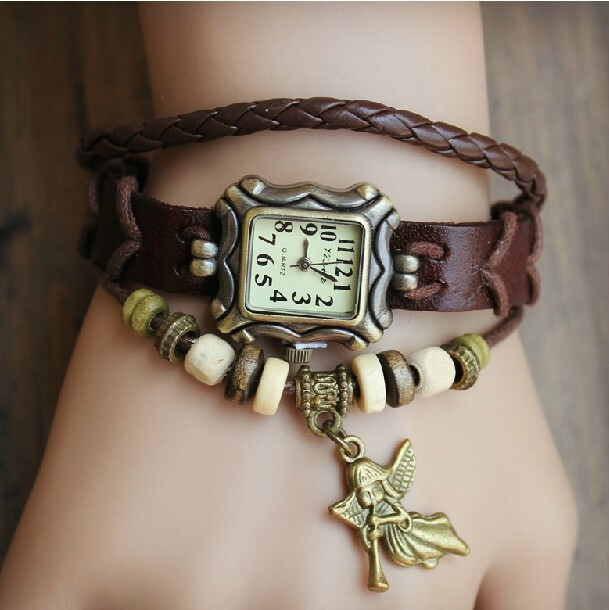 Then the charm bracelet watch is a must have for you. It goes well with casual wear and it’s not just stylish but funky as well. 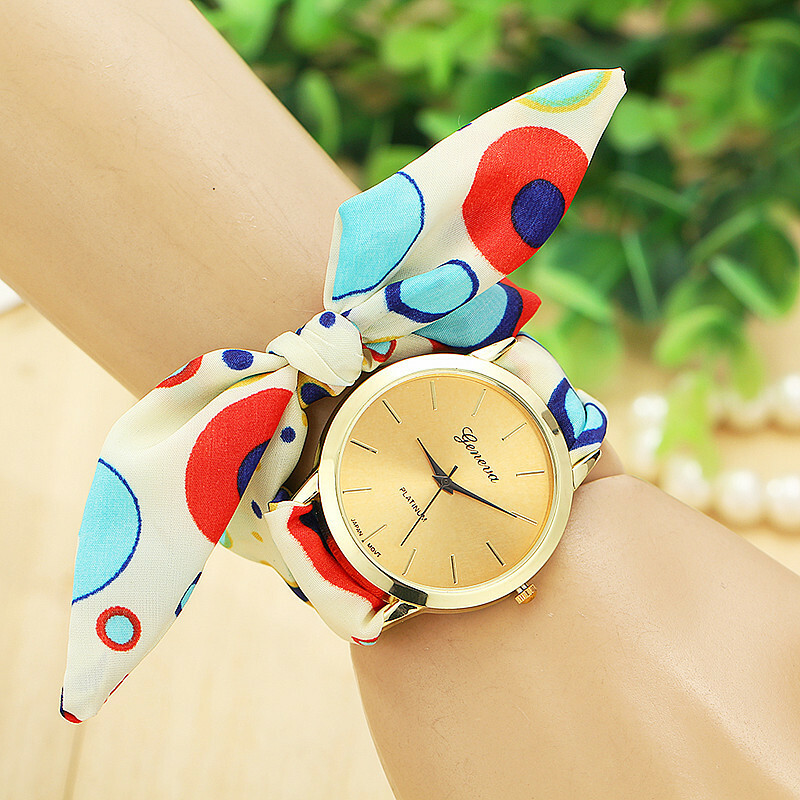 What we love most about it is the fact that it is a two-in-one accessory. Styles come and go, but classics remain classics for a good reason. 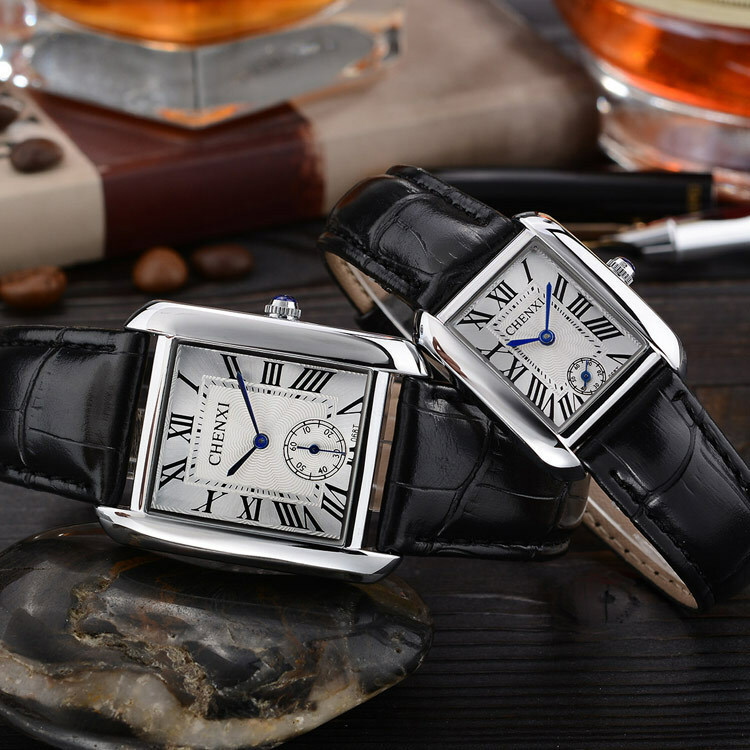 A classic black watch is a trendy, stylish, and perfect for every occasion. In case, you don’t own one, it’s high time that you get your hands on one soon! 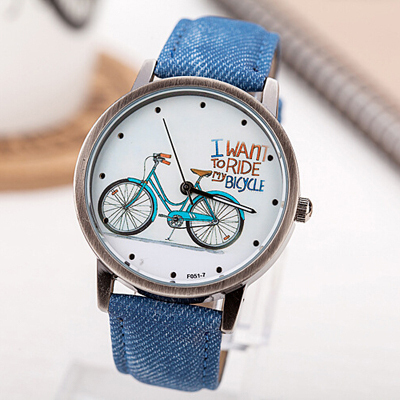 There are some trendy watches that are too cool for you! But, that’s all the more reason why you should own it and flaunt it as much as you can. 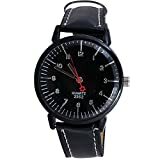 These watches will go well with casual wear and if you want to make a style statement then you can wear it to work as well. You can be sure that a few heads will turn! All that glitters is not necessarily gold. 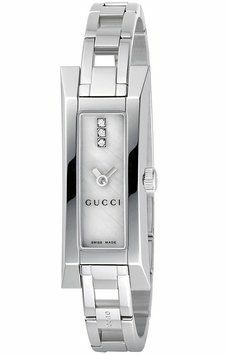 Since bling watches are a big no-no for the office, you can wear a contemporary silver watch instead. 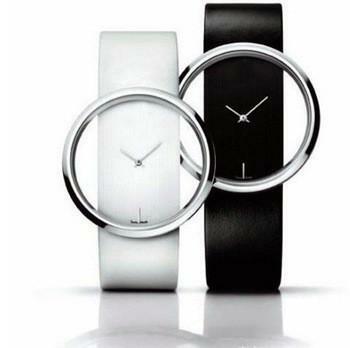 Additionally, you can wear it on date night as these trendy watches are petty as well. Everyone loves denim. 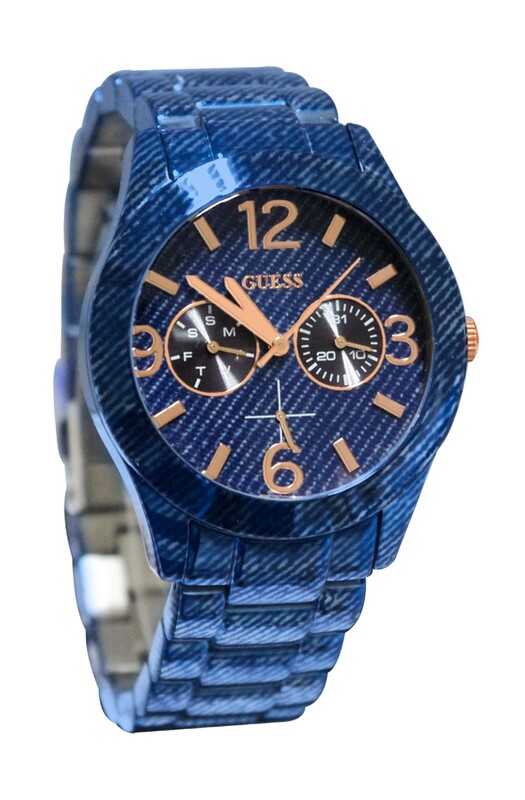 And denim watches are super cool. If you want to go in for a young, fresh, and peppy look then you must add a denim watch to your wishlist if you don’t have one already. 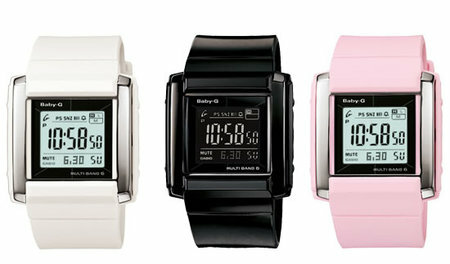 There are so many colorful digital watches you can get you hands on these days. And this is an exciting prospect because there are so many options to choose from. This way, you needn’t spend time to try and decipher the time on your watch. Wouldn’t it be cool if you can wear your watch as a ring? 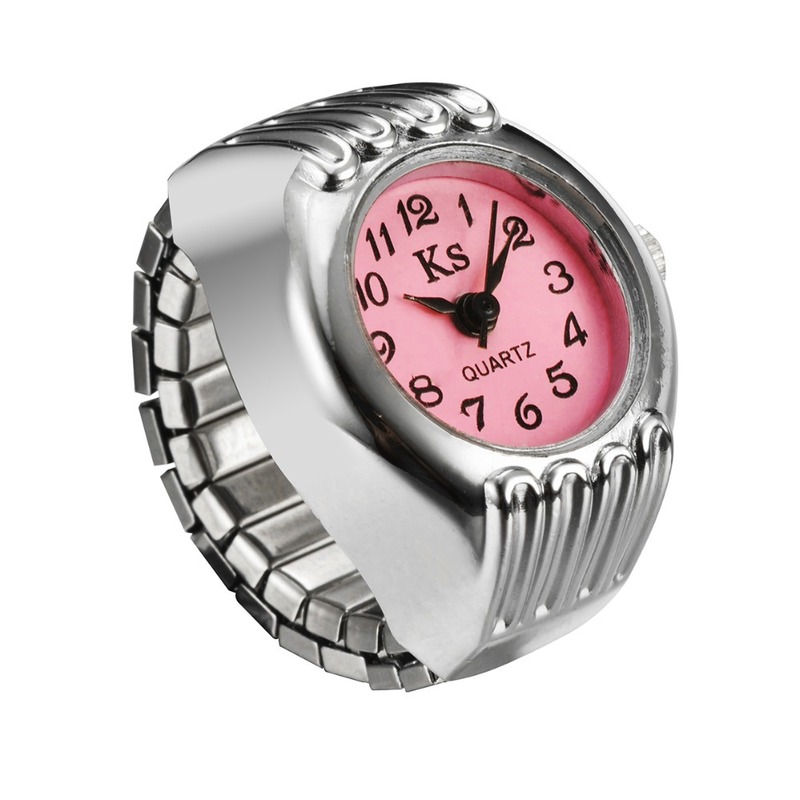 Well, there are some really pretty finger ring analog watches that you should take a look at. If this isn’t cool, then what is! 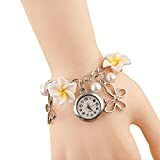 At the same time, you can wear as many bangles or charm bracelets as you like instead of wearing a wrist watch. Floral prints are summary, refreshing, and feminine-all rolled into one. 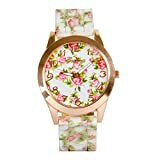 If you wear solid colour casuals or a dress then you can go in for floral print watches. They are pretty and that’s a reason enough to get one! 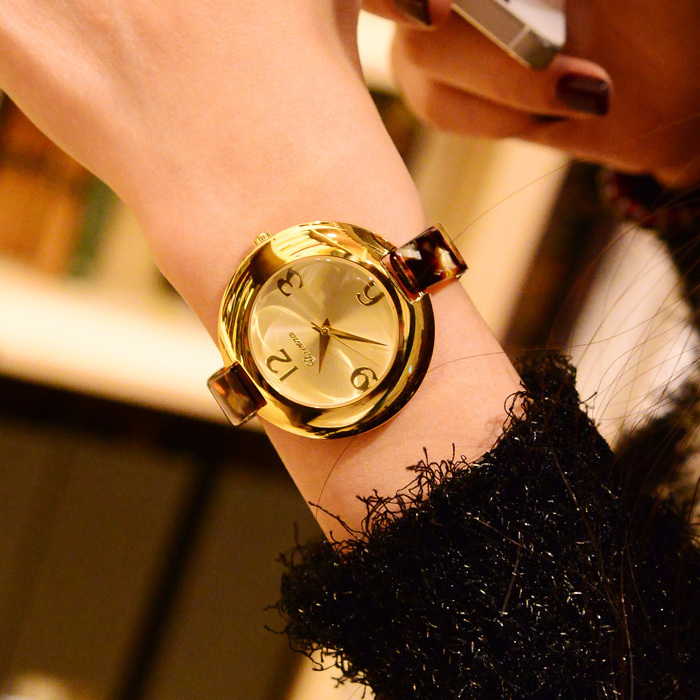 Like the classic black dial watch, you should get a golden dial watch. It is an accessory which is like statement jewellery. 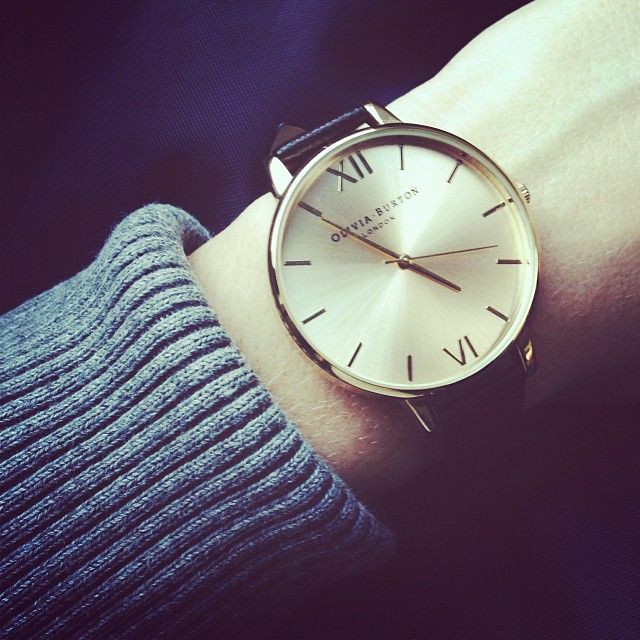 Sometimes all you need is something which is elegant and not flashy and this watch type fits the bill. 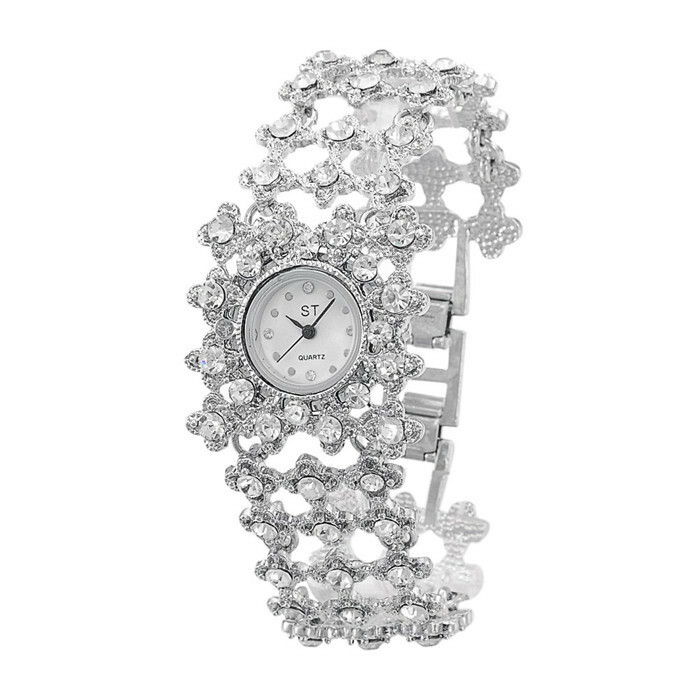 If you really want to dress up then you should try watches with intricate designs. It will blend well with jewellery and compliment your outfit as well, which is a win-win situation for you. 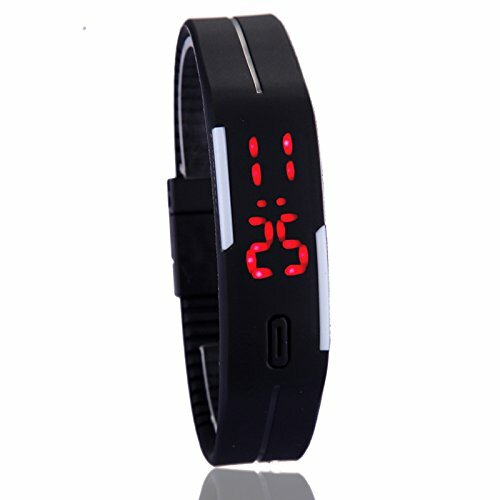 The latest trend that is making rounds is LED dial watches. 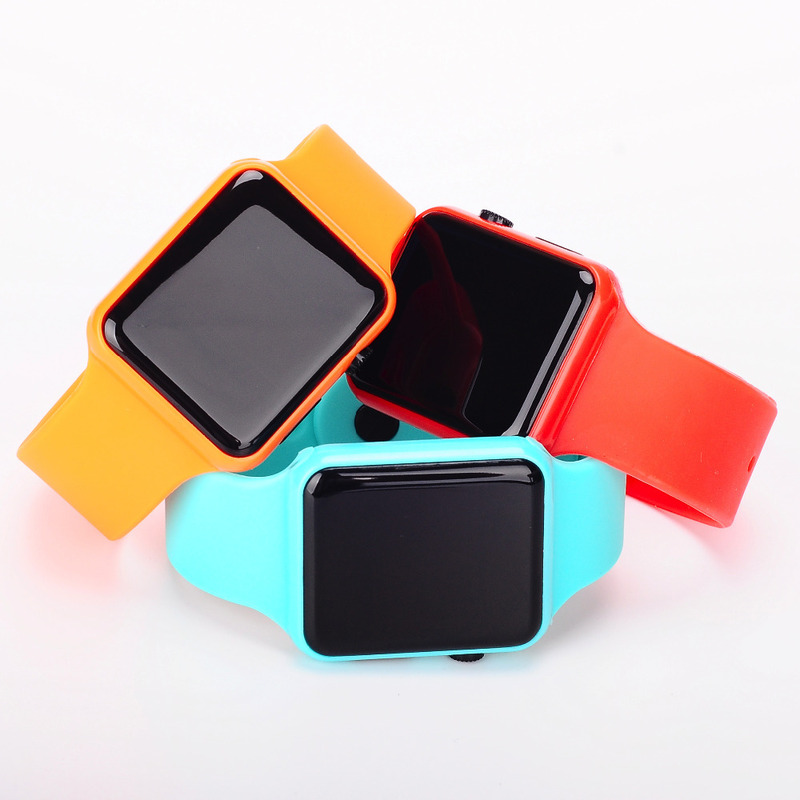 They are a simplified version of digital watches. 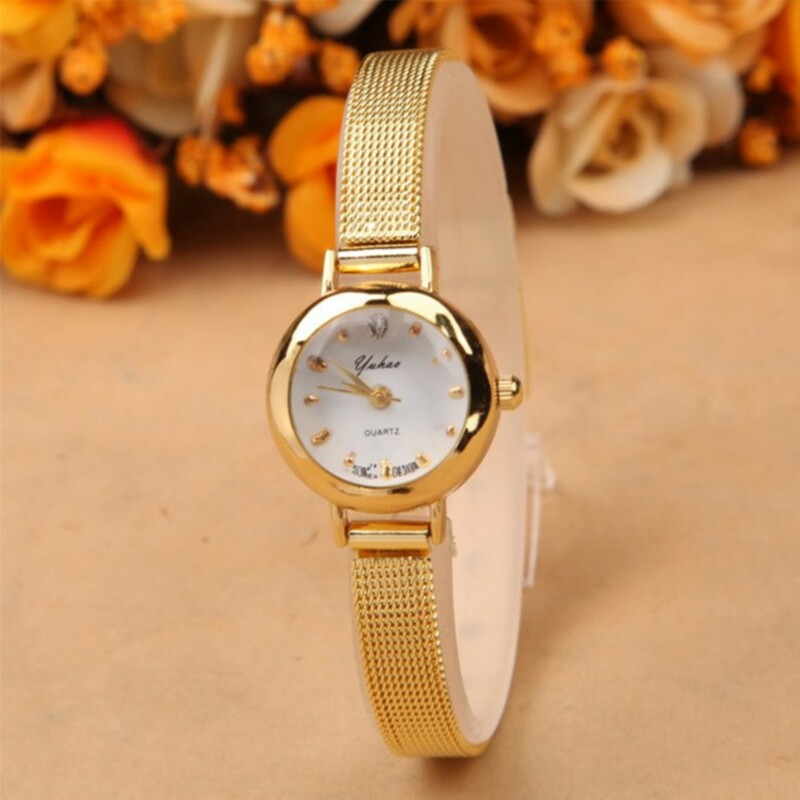 However, what we love most about these watches, is the fact that they are reasonably priced and are available in a several colors. 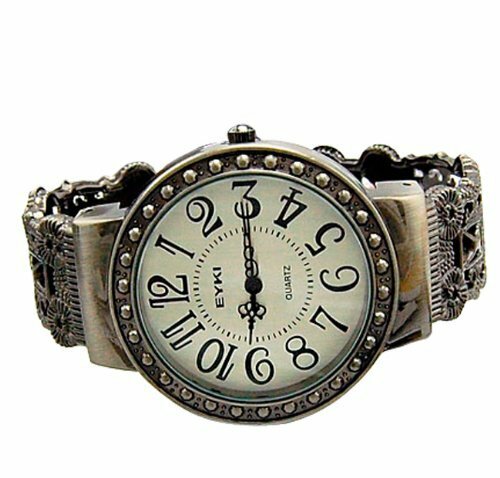 Party watches are a little jazzier than classic watches and watches with intricate designs. If you aren’t a big fan of jewellery then you this could be the best accessory for you. 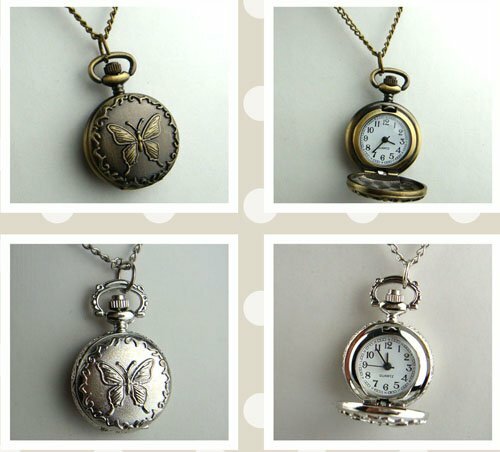 It will help you avoid the hassle of matching your jewelry or bracelet with your watch. 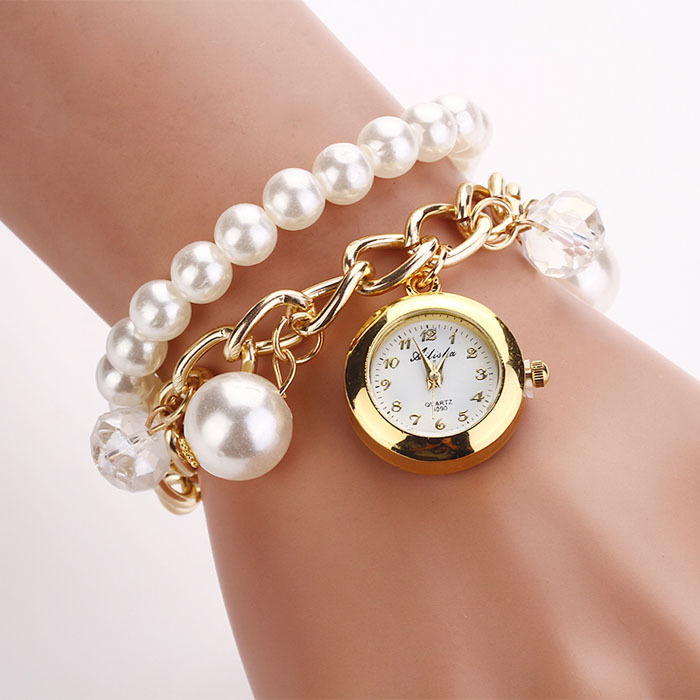 Pearls are elegant and look really sophisticated. 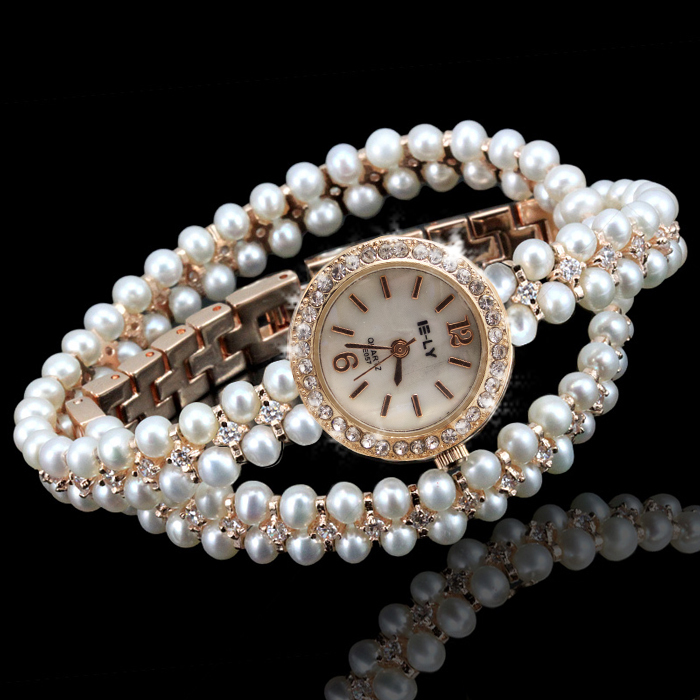 And when pearls are used on watches, they look really good. 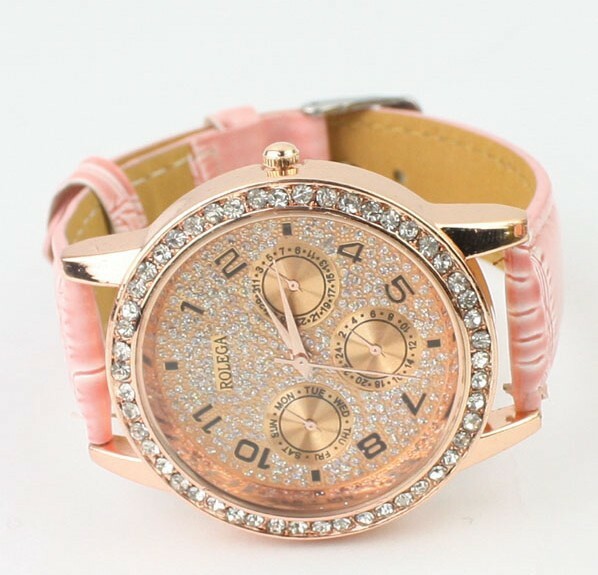 Apart from being trendy, these watches are super feminine as well. 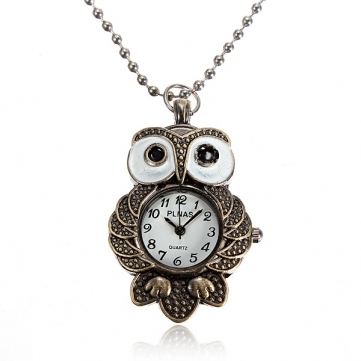 Like the finger ring watch, the pendent watch is a great accessory that you should get your hands on. 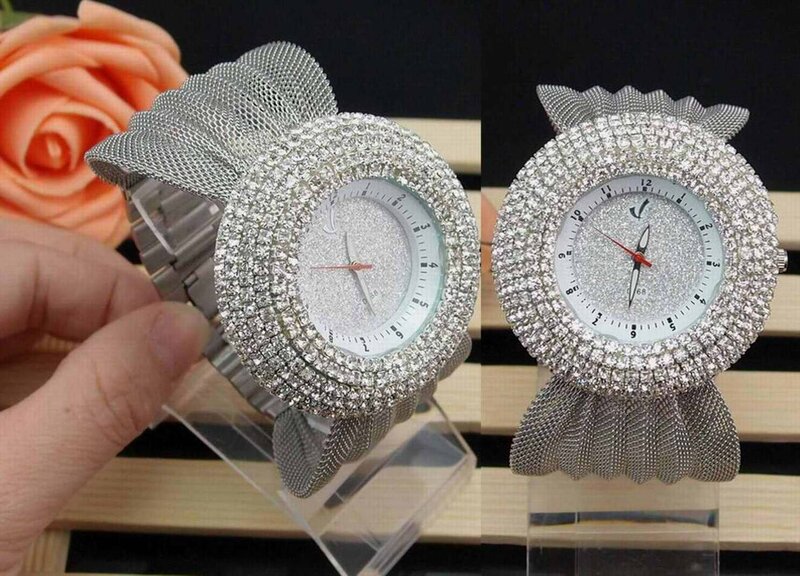 These trendy watches look good and, yes, it is not conventional but extremely beautiful nevertheless! 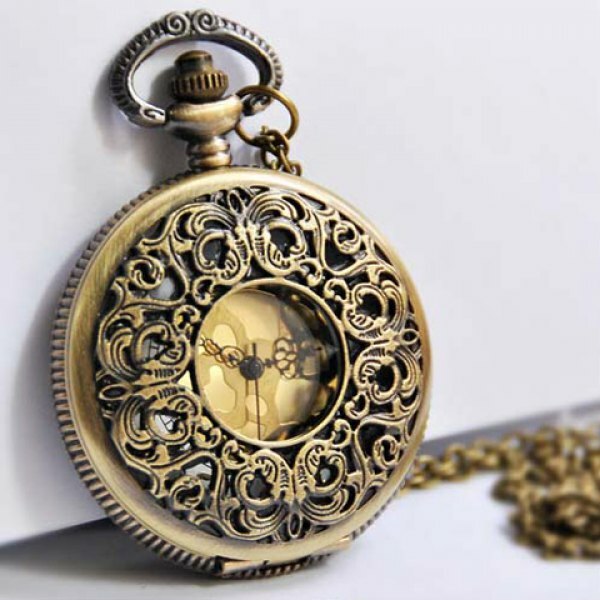 Our list of must have watches would remain incomplete without including pocket watches. It is a fun accessory to have. If you want to set yourself apart from the rest of the pack, then this accessory will help you meet this objective. 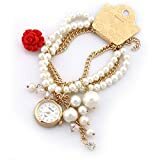 The oldest trick in the book to look chic, which is a well guarded secret of any fashionista with whom you cross path, is the the vintage bracelet watch. It is beautiful and really cool. The best part is that it will go well with most outfits. 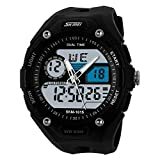 That’s why we have included this watch type in out list. 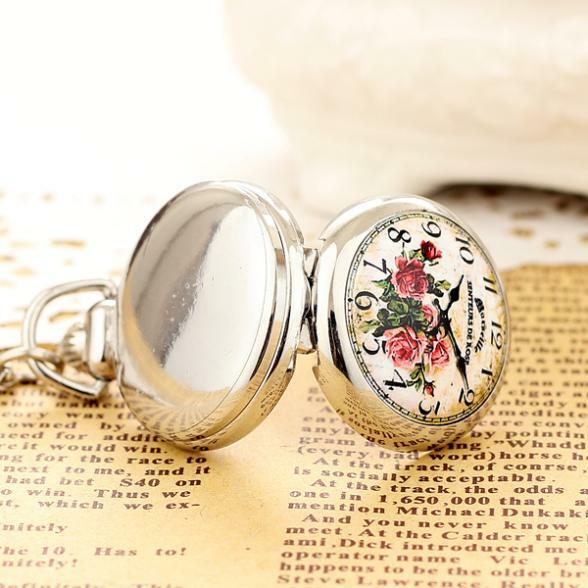 I am fond of wearing watches since my childhood. 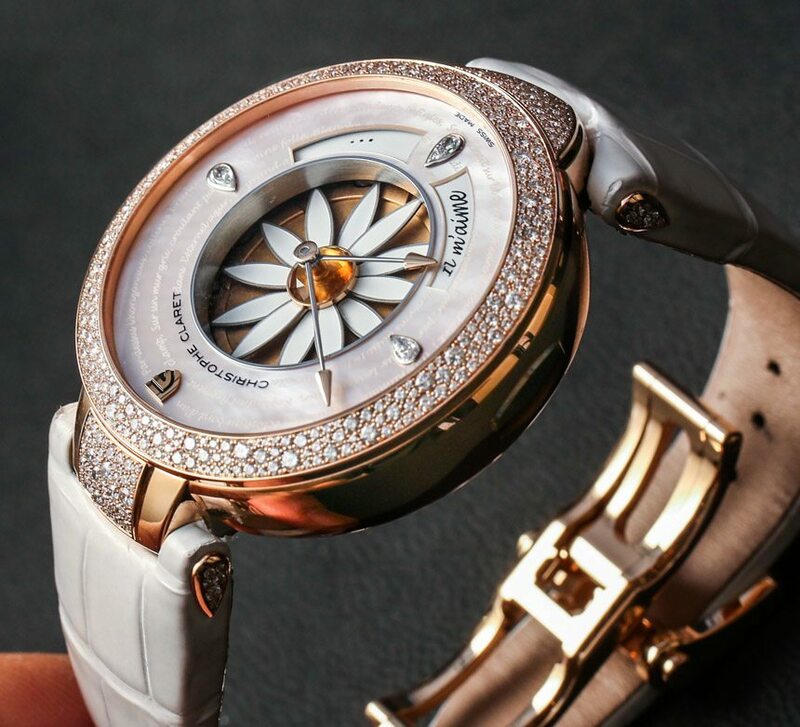 You have provided a very informative article regarding the fashionable watches these days. 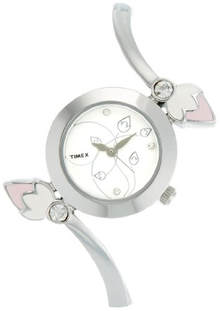 I loved ‘Contemporary Silver Watch’ the most and would love to wear it soon. 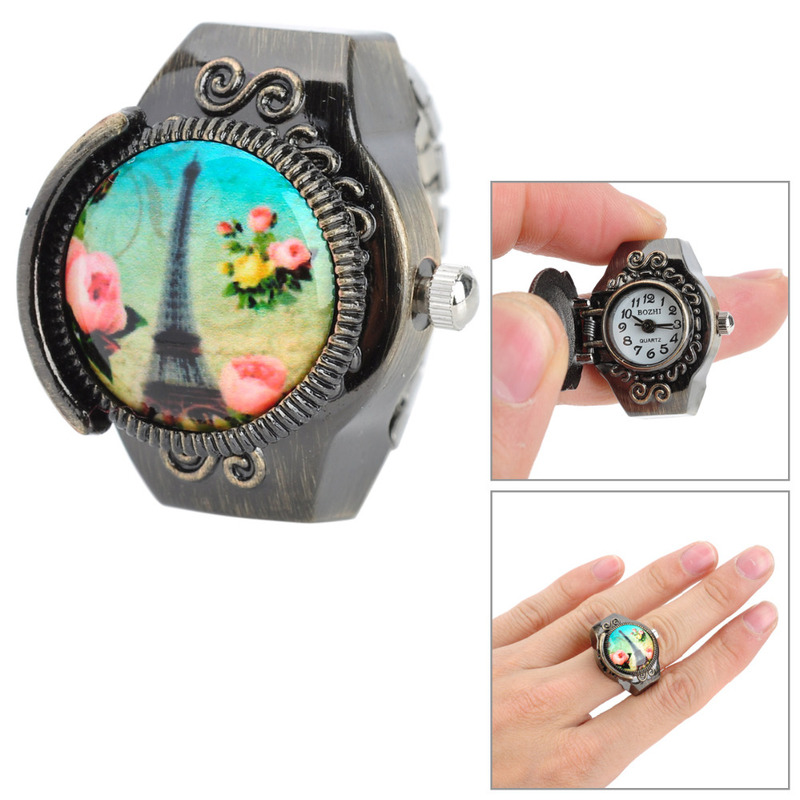 Moreover, ‘Finger Ring Analog Watch’ was also quite alluring to wear. I was planing on gifting my sister a watch on her birthday and trust me, I was so out of ideas. 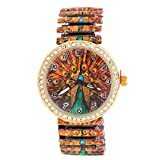 This list of watches has definitely helped me in deciding what watches I could consider to gift my sister.